Ultrasound Baby Images opened in 2007. Since that time we served thousands of expectant moms. 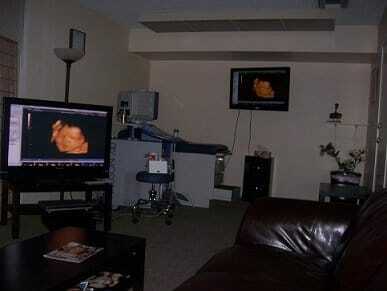 Our ultrasound facility provides you with clear and vivid 3D images and ultrasound DVD. Spacious rooms and a quiet environment in our imaging center will make you feel comfortable while you are in session. The 3d images and 4d videos of your baby will be produced on a state-of-Art GE Voluson 730 Expert. All pictures that you receive during 3d/4d ultrasound session will be of your baby’s face. Customer service has always been our number one priority. That is why we have a re-scheduling policy that allow you to come back for no additional charge if your baby is not cooperating during the original ultrasound session. We keep our packages prices affordable for every family since we started our 3d/4d ultrasound business. That is the reason that we do not charge you extra for professional photo paper and we do not charge you sales taxes. We want that in our ultrasound facility you feel comfortable and relaxed, to feel like home. That is very possible because our treatment room can easily accommodate up to 15 guests. This is one more reason for you to bring in your relatives and friends. Our service areas from the East includes Pasadena, Glendale, Burbank, Sun Valley and other cities of San Fernando Valley. 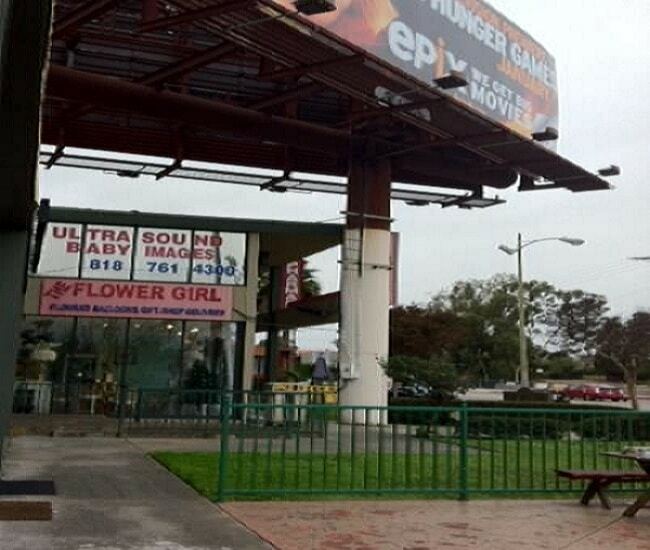 To the South, we serve Central Los Angeles, and West Los Angeles and Santa Monica to the West side. Great Valley Village location and free parking will make your visit very pleasant. Come to Ultrasound Baby Images and enjoy unforgettable precious moments of your unborn baby. There are some tips that will help you to prepare for a 3d 4d ultrasound session during pregnancy. Look for a studio that provides 3d 4d ultrasound near you. Google actually would help you when you type 3d ultrasound near me in a search box. Today it doesn’t make sense drive long distances for 3d ultrasound. The significance of checking an imaging center for quality 3d ultrasound photos is hard to overestimate. It would be essential that when you checking an imaging center for quality photos, you make sure that 3d images not copied but are authentic and genuine. This will help anticipate getting 3d images of good quality. Checking ultrasound studios for quality photos allows you to avoid a bad experience in a particular imaging center. You should recognize the importance of reviews about a particular ultrasound facility. Reading reviews about imaging centers let you expect the same service. Also, you will find it easier to analyze all details about your future appointment. That would be a critical step before having a ultrasound session. Try to recognize if reviews are not fake but are written by real clients. That will help to avoid being a victim of fake reviews. Research the internet regarding quality of the products. It makes sense to compare 3d images and 4d videos for other imaging centers. Researching the internet helps you to find 3d/4d ultrasound locations near you with suitable prices. This will choose the best imaging center. Having a thorough research before a 3d 4d ultrasound session will allow you not only to avoid misunderstanding and confusion but also greatly benefit from the final results. Don’t have long and expensive sessions during your first trimester of pregnancy. Wait until you are over 25 weeks. The third trimester is the best time to get 3d 4d ultrasound scanning. Don’t fall for cheap items that some studios offered to attract clients. Remember that your ultimate goal is to get decent 3d ultrasound images along with a good service. Check out for hidden costs such as paying extra for professional photo paper, taxes and/or color photos. Do you research and find studios that offer quality 3d images that are genuine and authentic. Preparation for 3d 4d sonogram during pregnancy might take a great deal of time and energy. Luckily, if you use all the help offered here then you ought to be prepared for your sonogram. Any guidelines that would be noted here serve a starting point. Feel free to add your personal notes and develop new suggestions. A 3d ultrasound is a static 3 dimensional image of your baby and 4D adds the dimension of time, allowing you to see your baby’s movements in the womb in real time. While we provide you with images of your baby (3D), the most amazing part of the 3d/4d ultrasound session is seeing your baby movements inside the womb. Watching them smile, yawn and play with their toes is priceless. We spend the majority of your session with 4D scans so that you don’t miss any precious movements.. All of our sessions are done with 4D ultrasound with the exception of gender determination. At earlier stages of pregnancy, before the third trimester, a gender determination is done primarily in 2D ultrasound for better accuracy. What influences a perfect picture of my baby? Many factors affect the quality of the images (fetal position, amount of amniotic fluid, amount of maternal tissue). We promise to make every effort to obtain the best possible images of your baby. If the baby remains “uncooperative” through your session it may be necessary to repeat the scan at a later time when the position has changed. We want you to be happy with the quality of your product and encourage you to share any concerns with us prior to leaving your session. How the location of my placenta affects the quality of 3d ultrasound images? Many our clients with anterior placenta (in front) often worry that there will be difficulty to seeing their baby during a 3d/4d ultrasound session. A large percentage of our clients have anterior placenta and we are able to perform 4d scans from the side and around the placenta to see the baby. Sometimes, a baby faces into the placenta, whether it is anterior, posterior (along the back) or fundal (along the top). In that case, we will work to try to get the baby to move away from the placenta. Some of the ultrasound images might have parts of the placenta partially overlapping them. We will do our best to get as much of the face in view as possible but a completely open full face shot is not always available. Also, during a ultrasound session babies are often going to be putting their hands and feet in their faces and may not free up a view of the entire face. You choose the length of your ultrasound session. It then takes just several minutes to print your pictures and prepare the CDs and DVDs. Sonostream is digital video streaming. This technology allows you to share an ultrasound session’s experience simultaneously with other people over the internet. This has the same effect as if you have a shared Skype session. A: The American Institute of Ultrasound in Medicine’s official statement: No confirmed biological effects on patients or instrument operators caused by exposure at intensities typical of present diagnostic ultrasound equipment have ever been reported. I have an appointment tomorrow. What should I do to be well prepared? Having a healthy diet daily will help you concentrate on meeting your goals. A healthy diet assures that you will be prepared when your time comes to having a 3d ultrasound session. However, there are the last minute tips that might help you to received better results. Drinking lots of fluids. Drinking lots of fluids is something that anyone attempting to having 4d ultrasound should do. If you are acclimated to drinking lots of fluids, when it’s time to prepare for a session, it’ll be a habit you already do. Eating non spicy food. Eating spicy food just before a session might stimulate producing indigestion gases with in turn would affect a clarity of 3d ultrasound images. Having with you a bottle of cold water of juice prior to the appointment. Drinking a cold water of juice could make a baby to change a position. And that might be something that a sonographer needs to get the best ultrasound photos. Can I bring guests to my session? We encourage you to bring your friends and a family. You are welcome to bring up to 15 people to share and enjoy the show. We believe this experience only strengthen the relationship inside your family and friends.